Brother and I went to an advanced screening of The Lego Movie this weekend, and really enjoyed it. (We tried to ignore the fact we were the only unaccompanied adults there. Maybe we should go for an evening showing next time). It was half an animated kids' adventure and half a zany comedy that does a far better job spoofing various pop culture franchises than any spoof movie has since Galaxy Quest. Considering it features Batman, Superman and Wonder Woman, it's probably also the closest we'll get to a Justice League movie any time soon. The reason I'm blogging it is that one of the central characters is named after a Roman architect and engineer, Vitruvius. Vitruvius is the author of De Architectura, the only surviving Roman text on architecture, which includes chapters on temples, houses, wall paintings, aqueducts and how to defend against siege engines, among other things. For me, the most interesting parts are those on how to site and lay out a town (there were a lot of planned towns in ancient Rome, it must have been a whole Empire of Milton Keyneses - gah!) and most importantly of all, material on cement and concrete, one of the Romans' greatest technical achievements (I used to work for RMC and my Dad is a freelance specialist in cementitious solutions, so I get weirdly excited about cement and concrete sometimes). I love that Morgan Freeman's character in the film was named after Vitruvius. The character is the textbook wise old mentor (he's mistaken for Gandalf at one point) and leader of the Master Builders, the Legos who don't need to follow the instructions, but design and build their own creations, so naming him after the famous architect was a lovely touch. The name works perfectly whether or not you know its origin as well, since Latinised names are so often used for wizards or wise old characters anyway. 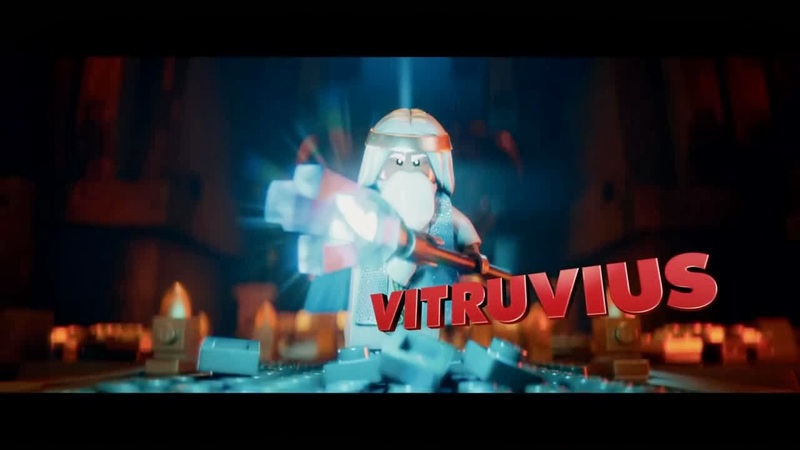 Some of the main characters in the film are transposed from other franchises, most notably Batman, but I like that Vitruvius wasn't Gandalf or Dumbledore or Merlin, but was his own character (he's clearly named after Vitruvius rather than being supposed to be Vitruvius, I think). It fits with the theme of the story, about breaking the mold and doing your own thing (though having said that, I did appreciate the section where it was pointed out that sometimes, in some circumstances, it is actually important to follow the instructions and work together!). As I said, I really enjoyed the film as a comedy. I was a bit worried that younger children wouldn't get the satire of some of the in-jokes. The satire isn't especially deep or subtle (President Business is the bad guy) and the pop culture references were mostly to reasonably child-friendly things, at least for an older child - there were no Game of Thrones references or anything like that, and only one potentially rude joke (and that might just have been my dirty mind at work). Older children should get almost as much of it as an adult, though they may have a less emotional reaction to the appearances of the Lego Pirate Ship or the 1980s Lego Spaceman. But I was worried younger children would be lost - worries that I suspect were unfounded. 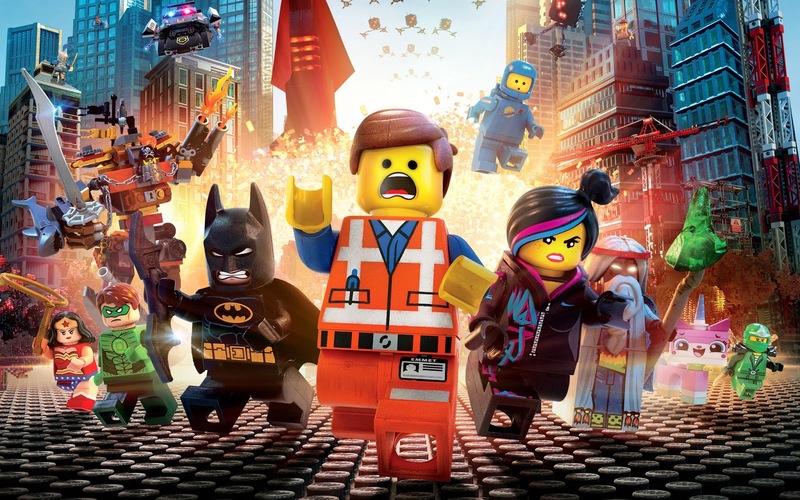 As we left the cinema, a small child behind us was gleefully singing the song 'Everything is Awesome!' over and over and over again - so I think the bright colours, lively action and horribly ear-wormy tune are enough to keep younger children happy as well. I'd thoroughly recommend this for anyone, especially if, like us, you're all Serioused out on Oscar-bait movies about slavery or AIDS or the stock market and want to relax for an hour or two. I got some exciting news this week. 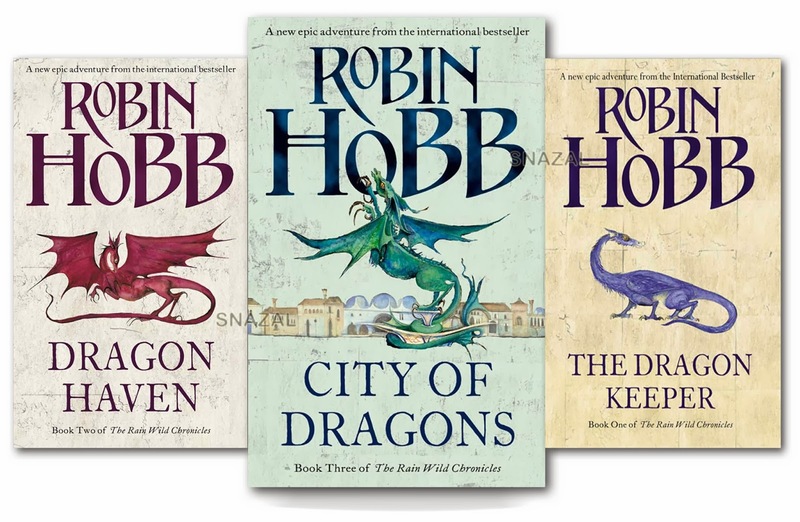 I'll be speaking at the academic conference at Worldcon 2014 - otherwise known as Loncon 2014 - on Robin Hobb's Tawny Man trilogy. Hobb is one of the convention's invited guests, and since I've loved her books since I was a teenager, I'm a little nervous! Hobb has written four series set in a particular fantasy universe, the Realm of the Elderlings. Over the past month I've been catching up on the most recent and the only one I hadn't read, the Rain Wilds Chronicles. This was partly in preparation for Loncon, but mostly because of the announcement that a fifth series will be coming out soon which, like the first and third, will focus on two of mine and OldHousematetheRomeone's all-time favourite literary characters, Fitz and the Fool. It would be hard to exaggerate just how in love with these two - well, Fitz anyway - we were when we were in school. We had significant disagreement over our feelings about where things were left at the end of the Tawny Man trilogy, which at the time we read it (aged about 20 I think) she loved and I hated. Now older and wiser, I no longer hate the ending (in fact, I like it a lot), but I'm also very, very happy that it wasn't the end after all. I would read about these characters sitting and watching paint dry. One of the central elements of the Realm of the Elderlings mythology is that there was once a great civilization of Elderlings (people who lived alongside dragons and took on dragonish attributes) and dragons. Something terrible happened, the Elderlings all died off and the dragons disappeared, leaving remnants of their civilization buried in mud or hidden in the mountains. Throughout the series these relics have been plundered by those wanting to make money out of them, and a whole culture (that of the Bingtown and Rain Wilds Traders) has grown up around the excavation and sale of magical Elderling items. It's a rather nice evocation of the way ancient archaeological discoveries were treated during most of the eighteenth and nineteenth centuries. To the eternal dismay of modern archaeologists, sites were destroyed with no records made of their state at discovery and their treasures collected and sold or scattered around the museums of Europe and North America. Real archaeologists, much as they might like to be seen as cool adventurers, would hate Lara Croft or Indiana Jones. The story of the Rain Wilds Chronicles revolves around the search for and discovery of Kelsingra, a lost Elderling city, alongside the recovery of dragons as a species. (I'm pretty sure Fitz and the Fool discovered Kelsingra, or somewhere very like it, back in the Farseer trilogy, but the geography is deliberately a bit vague at this point. It was either an outer suburb of Kelsingra, which is apparently huge, or a smaller Elderling city further into the mountains). One of the main characters is Alise, a scholar who has studied Elderling civilization through their surviving art and literature. Alise is an armchair scholar until she joins the expedition, not an archaeologist (in modern terms she'd be closer to a Classicist), but she's the only person who seems really interested in the history of the lost city, rather than its treasure (the new Elderlings are interested in how they can use it to live in, which is a different sort of interest in treasure). When they arrive, she's desperate to study the city, to sketch and record everything they find before the treasure hunters arrive and it's destroyed. For the most part, we Classicists and archaeologists would be firmly on Alise's side. But an interesting dilemma is raised when the new generation of developing Elderlings start wanting to use the city, rather than record and preserve it in the state in which they found it. Alise comes into conflict with them, as she wants everything kept as it is, in a fossilized state. I have to admit, I'm on the side of the young Elderlings on this one. Obviously, I'm all in favour of preserving historical sites as far as is practical, and definitely of preserving historical texts (the desperation of Classicists to find lost texts can be matched only by the desperation of Doctor Who fans looking for missing episodes). But I think there comes a point where the interests of the living have to outweigh the interests of the dead. 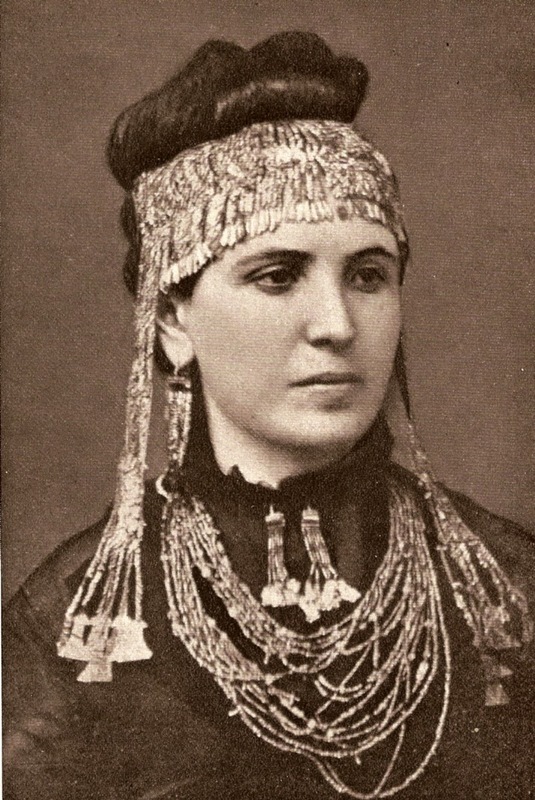 Of course I believe that history is valuable and important or I wouldn't do what I do, and the looting and destruction of museum artefacts in times of war is heart-breaking, but any time we reach a point where the preservation of historical sites and artefacts is placed above the needs of the living, we've gone too far. One of my favourite archaeological sites is Diocletian's palace in Split, in Croatia. Diocletian was a late Roman emperor, responsible for the last great persecution of Christians (he was followed by Constantine the Great). Within his 'palace', which is huge, are sections of the Roman architecture which have been preserved and which are fascinating to see. But throughout other parts, the 'palace' has been in constant use over the last 1500 years or so, and the Roman base has been built on and added to throughout the centuries. It's now a bustling place full of flats, restaurants and markets, and it's absolutely gorgeous. It's good to preserve history, but it's good to live as well - and if historical monuments need to be altered to improve accessibility for the living, or there's a choice between preserving a monument and preserving someone's farm, I'd choose the living every time. (I should probably mention at this point that Alise's scholarly studies are rendered rather less useful by the Elderlings' fondness for preserving their memories in stone, allowing others to see their ghosts or re-live their lives in the style of Star Trek: The Next Generation's 'The Inner Light'. But that's beside the point!). There was one other Classical reference in this series, relating to the mysterious country of Chalced. Chalced has been a shadow lying between the Six Duchies of the Farseer/Tawny Man books and Bingtown, of the Liveship/Rain Wilds books, for years, a fairly faceless country which relies on slave labour while its neighbours outlaw the practice, the eternal bad guy that also conveniently separates the protagonists of the different series. Other than a penchant for slavery and attacking its neighbours, nothing much had been established about Chalced before, so the slate was relatively clean for it. In this series, it is revealed that the evil and totally batshit crazy Duke of Chalced is named Antonicus Kent. This feels like a weird name to me as 'Kent' tends to suggest either Kent Brockman from The Simpsons or the county in which I was born, but I can see where Hobb was going with it - mad, murderous, autocratic leaders always have to have Roman-sounding names. The TV Trope is called the Caligula for a reason. Kent, unlike many examples of this trope, took the throne himself and went slowly mad from abuse of power over the years, rather than suffering the results of in-breeding, but otherwise fits the trope nicely. My main reservation with this storyline is that Kent should have been assassinated long before things got to the point they do in this series. Absolute monarchs can reign in terror for a while, and if they keep it in check, they can do pretty well - Tiberius lasted a good while before possibly dying naturally, and Henry VIII was fine, albeit unhealthy. But even absolute monarchs who go to the sort of extremes Antonicus Kent does tend to get assassinated (Caligula, Nero, Domitian, Commodus, and I'm sure there are some non-Roman examples). If the monarch is about to kill you and your entire family for the smallest slight anyway, you might as well plot against him, you lose nothing and you might gain a lot. As the story went on and the Duke got worse and worse, it seemed to stretch plausibility a bit that no one had managed to do away with him and take over themselves. Still, it all led to a pretty cool finale, so I guess it was worth it. (Actually, it's probably as much the case that these monarchs went down in history as mad/cruel etc. because they were assassinated and their successors/usurpers needed to justify usurping the throne - many of them were probably nowhere near as bad as they're made out to be. But the point still stands - hack off enough nobles and you will be assassinated). I enjoyed this series, but my heart belongs to the Farseer and Tawny Man books, so the new Fitz and the Fool book is the one I'm really looking forward to. Whether any of these characters or Kelsingra will appear is hard to say - so far the crossovers have mostly been between the Farseer and Tawny Man books on the one hand and the Liveship and Rain Wilds books on the other (I loved seeing Althea, Brashen and Paragon again, and hearing from Wintrow). However, there are some notable exceptions to that rule, and whatever the new series is about I think it's pretty likely to involve dragons in some way, so I'm excited to see how it all fits together, and whether poor Alise will get to preserve any historical artefacts at all! Welcome to the blog! These are my random thoughts on appearances of Greek and Roman Stuff in popular culture. I also occasionally cover Egypt, the Near East and archaeology. You can contact me at Juliette.Harrisson AT staff.newman.ac.uk. I freelance for Den of Geek and I am a regular contributor to Doux Reviews. I am the Editor of the Journal of Historical Fictions.